"We're not making the same mistakes again." The premise of JWFK is simple enough - a volcano threatens the lives of the dinosaurs on Isla Nublar, and Claire Dearing (Bryce Dallas Howard) heads up the Dinosaur Protection Group, and organization fighting to gain public and government support for saving the animals of Isla Nublar, rather than letting them go extinct again. The DPG gets a last-minute investor, they fly to Isla Nublar accompanied by a sorry replacement for Roland Tembo, and the all hell breaks loose from there. It seemed like a way to reimagine The Lost World the way Jurassic World reimagined Jurassic Park, and while the second film in this franchise has a widely mixed reception among fans and critics alike, I always found it incredibly enjoyable, barring a few annoying scenes. Well, Jurassic World: Fallen Kingdom attempted to walk the thin line between establishing its own identity and also breaking away from its predecessors. 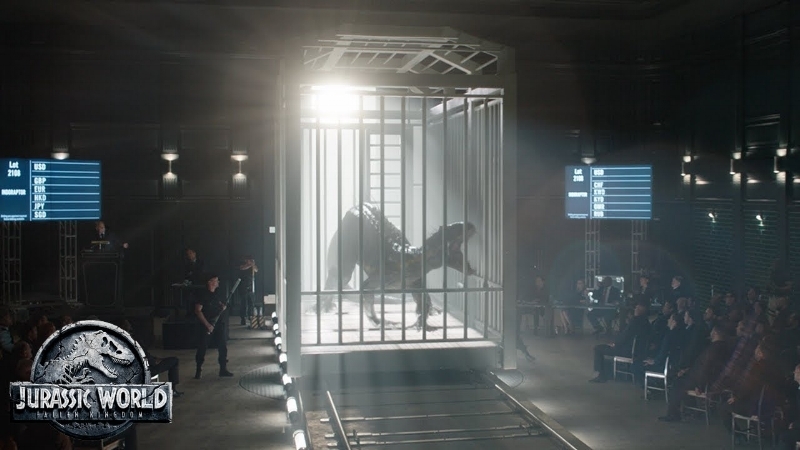 It is likely the filmmakers knew that the audience would be comparing JWFK to The Lost World, but in watching the newest movie it becomes unclear whether the filmmakers encouraged the comparison, or tried to avoid it. Let's start the review with the positives, because they do exist. The film is gorgeous. Every dinosaur looks great, and the mix of practical effects, special effects, and CGI blend together seamlessly to create a world that looked real. The actors performed admirably with what they were given, and I in no way blame any of the failings of this film on Howard, Pratt, or anybody else. The problems in JWFK light higher on the food chain. And... that's about where the positives stop. I guess it wasn't too long? That was nice. "No, you're making all the new ones." Fallen Kingdom is the first film in the Jurassic franchise that I left the theater actively disliking. Me, the dinosaur nut, the Jurassic Park fan-boy, and the guy who suffers from undeniable theater shock. I should be the one person singing JWFK's praise, but instead I seem to be the one condemning it on nearly every level. The script is weak, and every character is as thin as the paper their lines are written on. Grady and Dearing have the benefit of an entire first film to stand on, but every other character felt like they were personifications of tired clichés in every other action/monster movie. There was the scared techie who comes through at the last minute, there was the professional woman who was independent but not heartless, there was the lead hunter who seemed like Roland Tembo with the serial numbers - and all of the grizzled charm and bearing - scraped off, and there was the evil corporate snake accompanied by the even more evil corporate snake. There was even a John Hammond stand-in who showed promise for future development before he was removed from the story to service one of the other, less interesting characters. 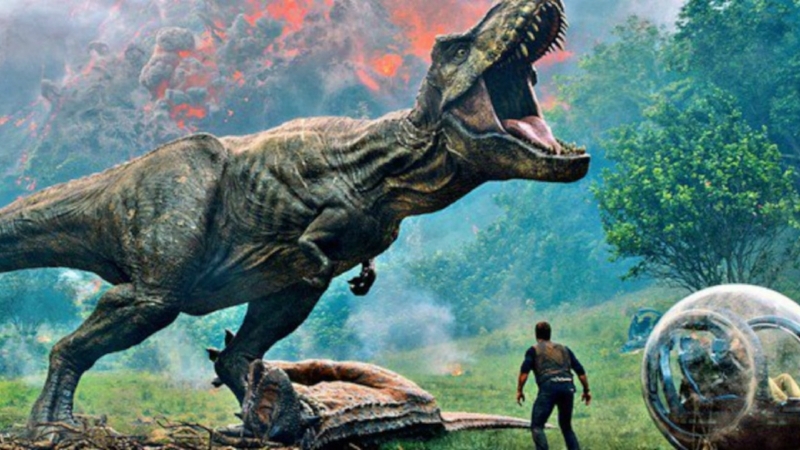 It was by far the weakest round-up of characters since maybe Jurassic Park III (but even there you could argue that - while the plot of the film lacked any amount of imagination or originality - the characters felt like they could be real people with real motivations making real stupid decisions). Jeff Goldblum, fresh off of his show-stealing performance in Thor: Ragnarok, is utterly wasted on a single courtroom scene. He is true to his character, he performs well, but the scene is so short and unnecessary that it becomes transparently obvious that the only reason why it exists is so they could plop Goldblum's shining face in the trailer to help fill theater seats. The entire crux of the scene is surmised with a bit of talking-heads B-footage later on, so why did we even stop in to the courtroom? Oh yeah, because Jeff signed on for one day of shooting. "Your [filmmakers] were so preoccupied with whether or not they could, they didn't stop to think if they should." While the word 'contrived' seems to be thrown around a lot lately regarding film plots, I have not seen a film in recent memory that calls out for the word more than Fallen Kingdom. The animals behave not as animals, but as monsters. They are more concerned with ripping the flesh from the nearest humans than they are with survival. Carnivores brave flowing lava - multiple times - just to try and take a bite out of fleeing characters. The message behind JWFK's story is 'how do you take responsibility for playing God?' But trust me when I say that this simple, one-sentence summary is smarter than any of the ways the film tried to convey its message. The tyrannosaurus rex makes its share of appearances, but aside from the cold open to the film, every time it is on screen it's presented on this hero's pedestal that became outright annoying. The new carnivores - such as carnotaurus or allosaurus - could have been any dinosaurs, not even necessarily carnivores (also, the fact that the film took the time to show us the allosaurus but did nothing to showcase its sheer awesomeness is a crime, in my personal opinion). Jurassic World has been described as a Jurassic film made by the fans, for the fans. If that is true, then Fallen Kingdom could accurately be described as a Jurassic film made by the fans. Because I am among the franchise's biggest fans and this movie was definitely not for me. "I was overwhelmed by the power of this [franchise]." If Jurassic World: Fallen Kingdom taught me anything, it's two very simple truths. The first is that no franchise can escape the nostalgia train unscathed. Even if I thought Jurassic World was adequate, the worst we'd ever see for the franchise, it was silly of me to think that dropping any lower was even a possibility. Fallen Kingdom is a good reminder that even our heroes can have moments of weakness. Although, judging by the way Fallen Kingdom ends, I'd imagine that Jurassic World III will continue to build on the established weaknesses to create larger, more powerful weaknesses. However, during the viewing of Fallen Kingdom, the moments I found utterly, undeniably annoying, there were audience members clapping and cheering. It made me realize the second truth. This isn't my franchise anymore. It stopped being my franchise with Jurassic Park III. Now, this franchise belongs to a different crowd, a group of fans who liked the originals for very different reasons than I did. Not because they presented interesting moral conundrums explored by smart, inquisitive characters and punctuated by suspenseful moments of exciting action. No, this new group of fans, the JW fans, like the Jurassic franchise because it features beautifully realized, dinosaur-fueled action. If they cared for the scientific curiosity of the original(s), it was only marginally so, an associated interest. Once again I find a film franchise that helped to shape my youth has been reformed into something which greatly misses the standards on which it originally stood. And that's fine. I don't expect to buy Fallen Kingdom when it releases, and I doubt I'll see JWIII in the theaters.